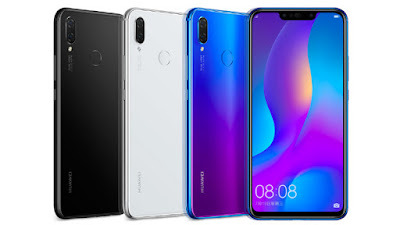 Huawei has launched Huawei Nova 3 and Huawei Nova 3i Smartphones in India both phones come with Notch Display, Dual Front & Dual Rear Camera. It has face unlocking that uses infrared light to gather face information even in dark conditions. There is also 3D Qmoji, which is similar to Apple’s Animoji. Huawei Nova 3 features a glass back, fingerprint sensor on the back. Connectivity options include Dual 4G VoLTE, WiFi 802.11ac (2.4GHz/5GHz), Bluetooth 4.2 LE, GPS, USB Type-C.Packed with a 3750mAh battery with fast charging support. 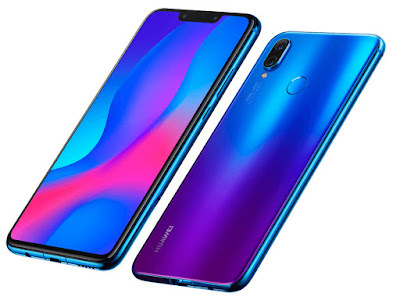 Huawei Nova 3i has a 6.3-inch FHD+ 19:5:9 aspect ratio curved glass display with a notch powered by Octa-Core Kirin 710 12nm processor with 4GB RAM with 128GB internal storage. Dual SIM device runs Android 8.1 (Oreo) with EMUI 8.2 and a 24-megapixel front camera along with a 2-megapixel secondary camera, similar to the Nova 3, but this has a 16-megapixel rear camera AI scene recognition along with a 2-megapixel secondary rear camera for portrait shots. There is also 3D Qmoji, which is similar to Apple’s Animoji. It is has a fingerprint sensor on the glass back and Packed with a 3340mAh Battery.